Walk beside Jesus on city streets and mountainsides. Hear Him teach by the sea and in the synagogue. Witness the blind given sight, lepers healed, and storms stilled. Sit with Jesus at supper with friends, and listen in while His enemies plot to destroy Him. Our newest Bible study is a chronological arrangement of Matthew, Mark, Luke, and John, that leads you through a 24 week study of in-depth discussions and daily personal application questions, deepening your understanding of Jesus’ life and purpose on earth. 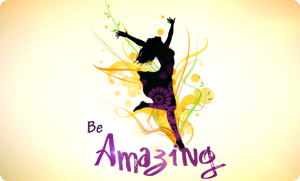 Be Amazing is a Bible study with a Titus 2 heart beat – older women loving and encouraging their younger sisters as they grow in their faith, relationships, and ministry. Spend time with six godly women who have one purpose: helping you become the woman God created you to be in your marriage, your home, and your heart. Be Amazing includes lessons on character, relationships, and the care and management of the home. Practical topics covered include finances, hospitality, meal planning, and parenting. It’s never too soon to introduce children to Jesus – and The Amazing Adventure is the perfect tool to point their hearts toward Him! The curriculum takes children on an exciting journey through God’s Word and great plan of redemption – from Genesis to Revelation, presented in ways young hearts can understand. Praise and worship music, creative crafts, Scripture memory, and at-home activities are all included. 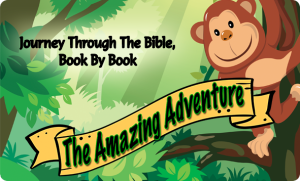 Use The Amazing Adventure side-by-side with The Amazing Collection, and watch God’s truth come alive for the whole family! The Amazing Collection takes you on a unique journey through Scripture, pointing to Jesus from Genesis to Revelation, and helps you discover fresh beauty and truth on every page. Study a section at a time (5-9 weeks each). Taken together, these eleven separate studies cover all 66 books of the Bible. The Amazing Collection appeals to every level of Bible knowledge, from growing beginner to lifelong student of the Word. 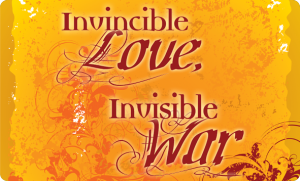 Invincible Love, Invisible War gives us a lens through which we can view the invisible war we all face and the victory available through God’s invincible love. Breaking down the Bible into six manageable divisions, this study provides the big picture of sin and salvation, along with tools to help you stand firm in the face of temptation and fear, confusion and loss. Heart-stirring testimonies enhance each session and bring into focus the Word of God and its power to change lives no matter the circumstance. Are you better with people or projects? Does your co-worker want to conquer life or enjoy the journey? 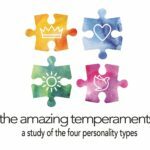 Discover who you are and better understand others through The Amazing Temperaments Bible study, designed to give perspective on the people you love, the ones you struggle with, and the why behind it. Using well-known Bible characters like Moses and Paul, you’ll see the four different personality types from Scripture’s point of view. Great for couples, parents, church staff and small groups.